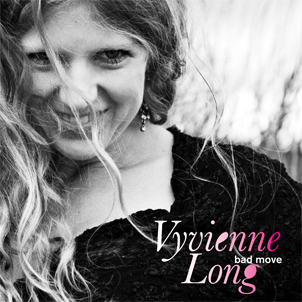 ‘Bad Move’ is the new single from Vyvienne Long and is taken from the album ‘Caterpillar Sarabande’. ‘Bad Move’ is different from other music around. The track starts with delicate Bjork like vocals before a dark chamber string section grabs your ears, gives them a shake and demands them to listen up. Long manages to mix these elements of pop, folk, rock and classical to create a fresh approach. Arrangement on the track is intriguing and mesmerising and coupled with intelligent lyrics, is a late contender for my favourite track of the year. ‘They’re Not Waving’ opens with an dark string line before an uptempo beat brings the track to a more lightened mood. Great melodies, beautiful harmonies and a memorable chorus hook, don’t let the listener down. Again production on the track is fantastic, beautifully mixed and perfectly balanced. Listen on a great stereo system to get its full effect. This is enough for me to get the album. Pure brilliance.